I had never heard about a company called Coalesse until I got a press release last week that the SIGAL Gallery at the AID|DC District Architecture Center is exhibiting their incredible modern designs this week. Coalesse features the work of design powerhouses such as Patricia Urquiola — I only wish some of them would fit into my tiny home office. Hosu by Patricia Urquiola. Can you see the iPad charging from it?? Lust! 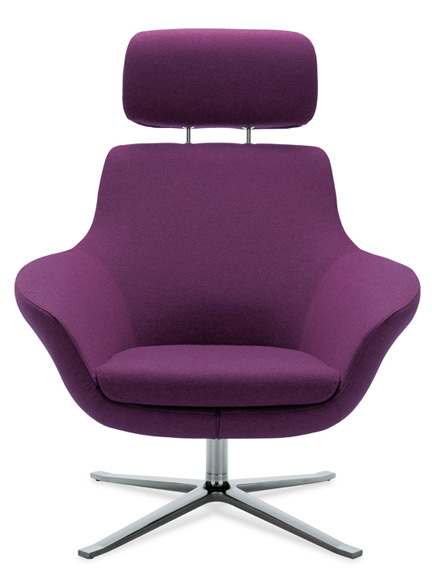 The Bob Chair by PearsonLloyd. Want. 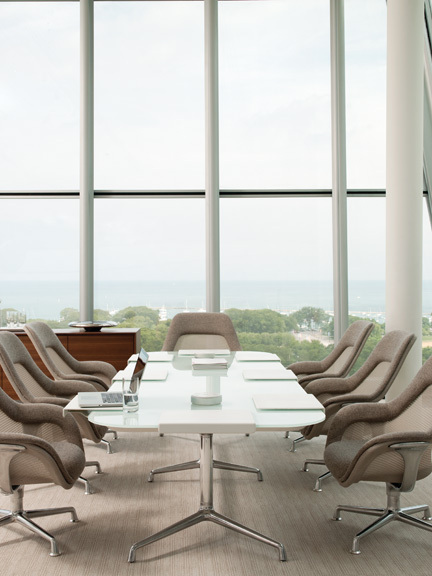 Note how the conference table has pull-outs for laptops or tablets, and the circular object on top is actually a multi-outlet plug for cords. Brilliant! SW_1 table and lounges by Scott Wilson. This version of the SW lounge has its own shelf for a laptop or notepad. And it’s yellow! Oh, happy day. 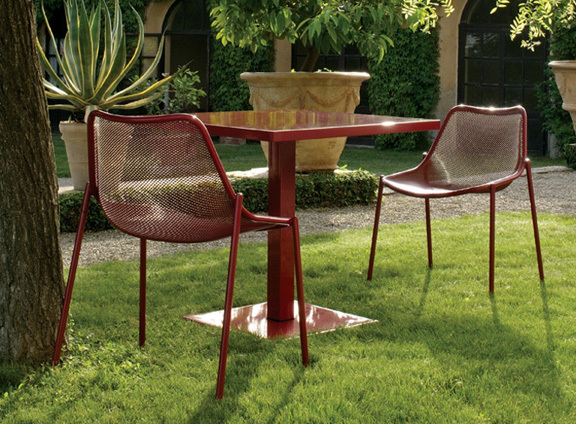 Tell the boss to a) create a landscaped outdoor seating area for breaks, and b) order these fab Emu chairs and tables by Christophe Pillet. A girl can dream, right? Open to the public Monday through Friday from 10 a.m. to 5 p.m. In the meantime, I’ll sign off with this lovely video from the Coalesse site, called “The New Work Day.” I can’t stop watching it! 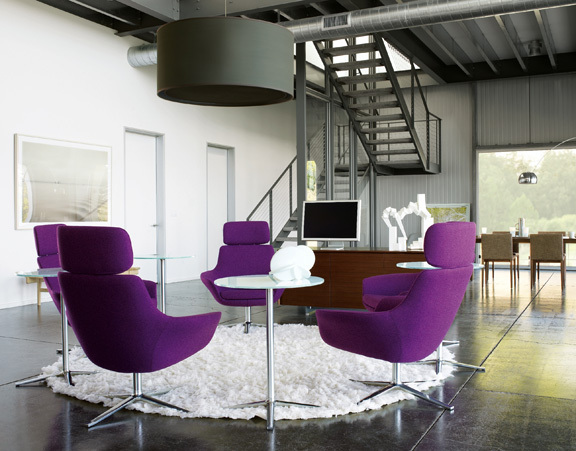 I have a weakness for the colour purple and these purple Bob chairs are just gorgeous. They look so comfy too. I’d never heard of Coalesse, either. Some of these pieces are truly brilliant! Thank you! 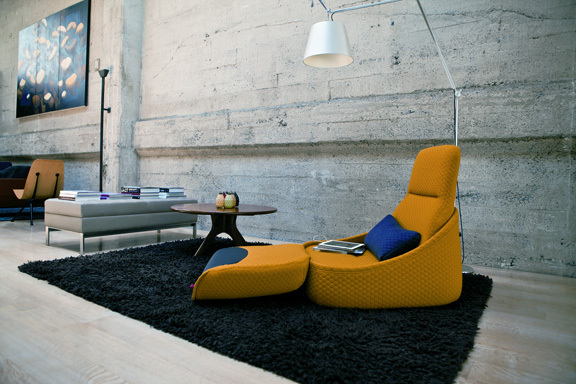 Love this furniture. Thanks for the post.